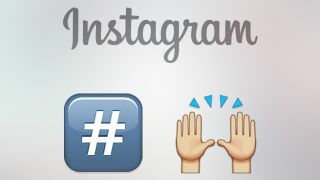 Instagram today made a significant change to the way hashtags work: they can now include emoji. Never again will Instagram users miss out on an image related to the poo with eyes, the cat with hearts on its face or the two frothy beer glasses clinking together, the company announced on its blog. You can now tap on emoji hashtags in comments and search for them on Instagram's Explore tab, just like any other hashtag. "Over the past few years, emoji have become part of a universal visual language," the post reads. "And just as we share photos and videos, we use emoji to communicate emotions and feelings in ways that anyone can understand, regardless of language or background." The app also has three new filters, Lark, Reyes and Juno, for users to fiddle around with for half an hour before giving up and just putting it up with #nofilter.